Not everyone is blessed with a naturally beautiful smile. In fact, many of the smiles you see on TV or that cover the latest fashion magazines had a little help at some point. 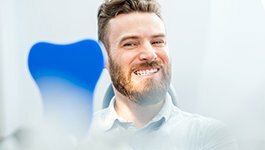 Whether through teeth whitening, porcelain veneers, or Invisalign orthodontics, others have achieved remarkable, life-changing results with the help of their cosmetic dentist in Wakefield. Dr. Schumacher has the solutions you need with cosmetic dentistry. If you would like to learn more about cosmetic dentistry and how it could improve your smile, we invite you to contact our Wakefield office for an appointment. You can also learn more about our services below. If embarrassing stains are preventing you from smiling with confidence, teeth whitening can help you achieve drastic results. You cannot avoid tooth discoloration as you age, but that does not mean you need to live with it. You can stop hiding behind stains with a professional treatment that can get your teeth as much as 8 shades whiter. Your teeth will be brighter, and you will look younger to enjoy showing off your smile. 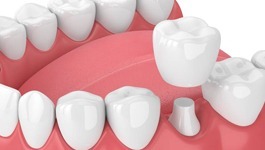 Composite resin fillings treat tooth decay while improving your smile. Unlike traditional amalgam fillings, tooth-colored fillings are metal-free, so there is no risk of mercury exposure. The material is easily customizable to match the color of your enamel to blend in with your natural teeth. You can correct several cosmetic imperfections using a minimally invasive procedure. High-quality porcelain veneers hide chipped, cracked, stained, or misaligned teeth. Attaching the thin shells to the front surfaces of your teeth instantly improves their color, size, shape, and proportion. You will enjoy natural-looking results that can last for an average of 10 years before needing to be replaced. If you have avoided orthodontic care in the past because you do not want to wear metal braces, you are not out of options. You can get the straight smile you want without brackets and wires. 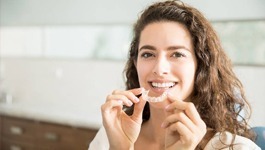 Invisalign uses clear plastic aligners to gradually move your teeth into position. It provides a nearly invisible treatment that resolves many of the common disadvantages of traditional braces. In as few as 12 months, you will have a straight, healthy smile with results that last. Gone are the days of needing a dark metal restoration to rehabilitate a damaged tooth. Now, you can enjoy a solution that looks natural with all-ceramic material. They are customized to match the color, size, and shape of your teeth to blend in seamlessly when you smile. 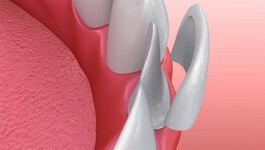 All-ceramic crowns are strong and durable to last for several years with the right care. You will improve your tooth’s health, function, and appearance using a biocompatible treatment. If you do not love the smile you see in the mirror, you do not need to live with the results nature gave you. Dr. Rob Schumacher conducts a comprehensive consultation to assess your needs while discussing your desired results. He creates the customized treatment plan you need to achieve a picture-perfect smile. Contact our office today to start your journey to improved confidence with cosmetic dentistry.